I have had the idea of riding a 1969 red convertible Mustang on the California Shoreline Highway for as long as I can remember. 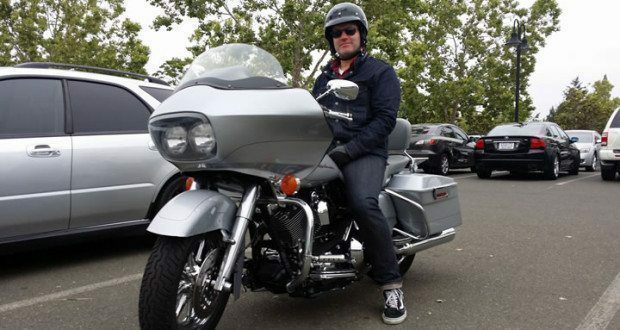 Once I grew up a bit and learned what motorcycles were, that changed to riding a Harley on the Shoreline Highway. Living in the greater Toronto area, it seemed like a slim chance that dream would ever come to fruition. A few months ago, reality began to form around that dream. My wife needed to go to Napa, California for a work trip in May of this year and I was to tag along for a few days before her conference. As we planned for the trip, the idea of renting a bike for a day came to both of us independently. My wife is pretty great. I started my research on rental companies in the area a couple of months in advance, which led me to NVR Adventures. The company web page promised Harley rentals, a reasonable price, and an online booking system. The booking process was pretty easy. I filled out a contact form with some basic details and travel plans and NVR’s owner Jason Raphael got back to me by email in pretty short order. 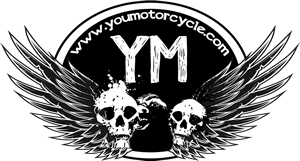 I had a few questions about helmets for 2, the type of bike, GPS availability, start time and the like; Jason was very helpful and walked me through everything I needed to know both on the phone and by email. As we approached our arrival date Jason and I spoke a couple more times to confirm where we were staying and the time we wanted to start riding. NVR Adventures has in essence, a motorcycle rental shop on wheels. A large trailer behind their vehicle arrives at your hotel loaded with your bike, a selection of helmets, their point of sales system to pay – everything you would need for the day. There was no need for us to go to an office location; Jason arrived a few dozen steps from our hotel room. This was a great convenience as it let us sort out the amount of storage the Harley-Davidson Road Glide came with, and get a good idea of what we needed to bring for the day with our room close by to get it all from. On arrival at our hotel, Jason unloaded the bike, did a circle check on his own and then with me to go over its working order and instruments and signals and got us our helmets. After signing off on all the paperwork that goes with a rental and waivers and seeing my Ontario M-Class licence, Jason had me take a spin around the parking lot so that he could inspect my capability on the bike. I am not too proud to admit that it rode a LOT different than the Suzuki DR 650, which is all I have ridden otherwise. We got on the road at about 2:00 PM, a touch later than we wanted to, but under clear blue northern California sky. I planned a route and had it in navigation mode on my smartphone, which I had mounted on the handlebars. I brought the mount with me; NVR no longer supplies GPS mounts to lessen distracted riding, but in honesty we never would have found our way around without the GPS. A few kilometers on a 4 lane highway was the least exciting part of the trip. For the most part we were riding through the rolling grassy hills surrounding Napa, Sonoma and into Marin County. 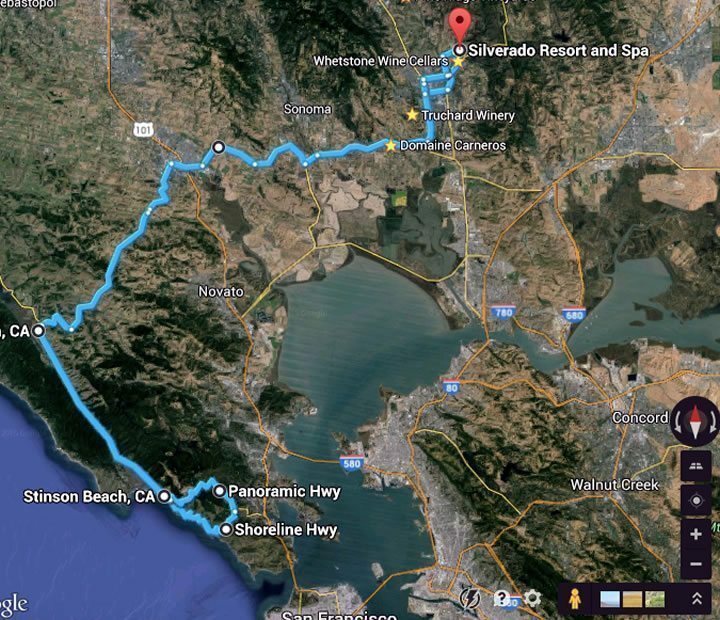 The route that took us out of Petaluma on Avenue D towards Point Reys Station was some of the finest riding I have had. As it turns out, an old friend from high school lives very close to here and is a motorcycle riding instructor in Petaluma, who would have recommended the exact same stretch of road. The ride was locals-approved! Great tarmac winding through a mountain pass with deep valleys off to the sides from time to time, which drop out into unexpected vistas, made for about an hour of the ride. One part of the ride at the Nicasio Reservoir quite honestly looked like the Scottish highlands. We joined the Shoreline highway in Point Reys, and wound our way through more fantastic road within smelling distance of the ocean. The road passed through some very tight switchbacks under the canopy of what may have been massive Eucalyptus trees based on the aroma. The route basically bursts into a view of the ocean at Bolinas Lagoon. Parts of this ride are not for the feint of heart; the mountain pass and the switch backs are difficult though totally manageable for an intermediate rider, but the stretch of Shoreline Highway (Highway 1) along the Bolinas lagoon is filled with tight, blind turns with the ocean coming right up to a meter from the asphalt. Its important to pay attention to where you are in your lane to not lean into oncoming traffic around the blind turn or quite frankly drift into the ocean. We had a misstep and forgot that our ride was on Memorial Day, so day traffic from San Francisco created a substantial line up of cars going south into Stinson Beach, a very cool little surf town about 45 minutes out of downtown San Francisco. I had hoped to fuel up here, but the stop and go for about 30 minutes had us very low on the gauge. When we finally reached the town, we learned that the only gas station close by was off the highway a few kilometers back the way we came. We were running out of daylight and were not going to make it around Muir woods as we hoped on our route so turned back. The directions we were given to the gas station proved to be an adventure on its own. The station was in a small village called Bolinas, after the lagoon. There were no signs to the town, which we learned were torn down by the Bolinas residents some time ago after a municipal vote on the idea. The town felt like a cross between the Beachcombers and Twin Peaks. Furtive looking residents ignored me when we were standing at the station pumps asking if it was open. One man walked less than 3m away from me and looked visibly disturbed that I talked to him. 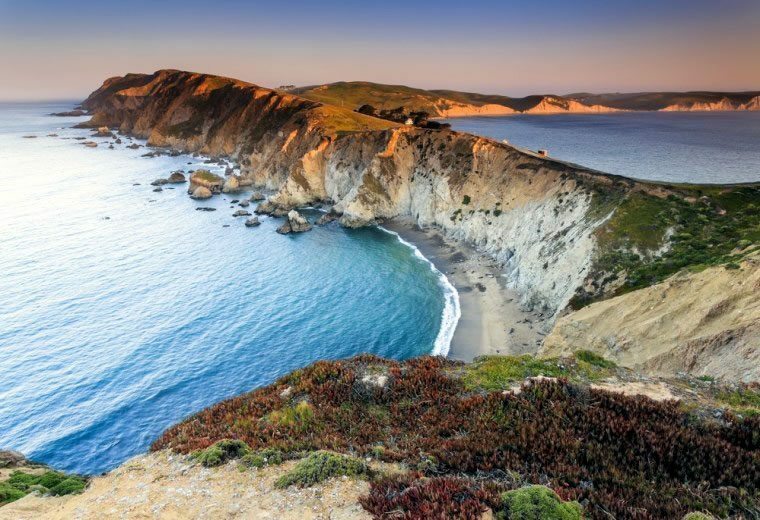 Locals have been known to slash the tires of visitors and hassle surfers. We exited quickly as it was a misty, creepy dusk. We basically retraced our route back to Napa without real incident, though our brush with the creepy in Bolinas added some spice to the otherwise grin-filled ride. Jason from NVR Adventures met us again the next morning to retrieve the bike, which was also as easy as could be. 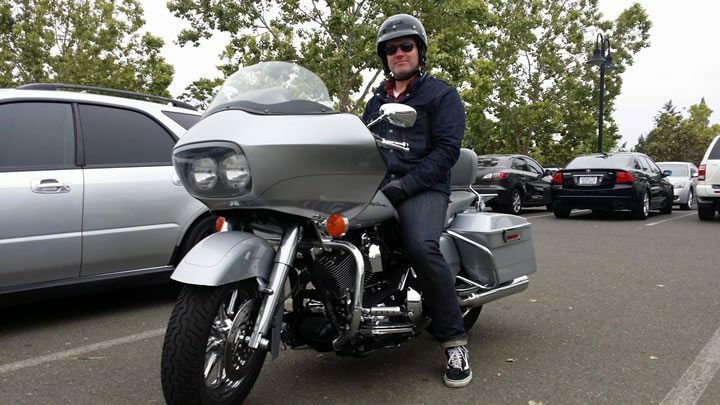 Jason is involved with other tour operators in the area and is a true local, being born and raised in Napa. If you book with NVR Adventures, I would trust Jason to give you a real local’s point of view on points of interest and other local knowledge. I was certainly a bit bummed that we didn’t make the whole route that we wanted to see around Muir woods, but that doesn’t detract from the fantastic day that we had. I only wish I had had the presence of mind to stop riding from time to time to take some pictures, but the smooth road, big heavy bike and sunny day were enough to keep me from thinking about anything else. Our day’s rental with helmets, insurance, etc. was $199 USD for a full 24-hour day.